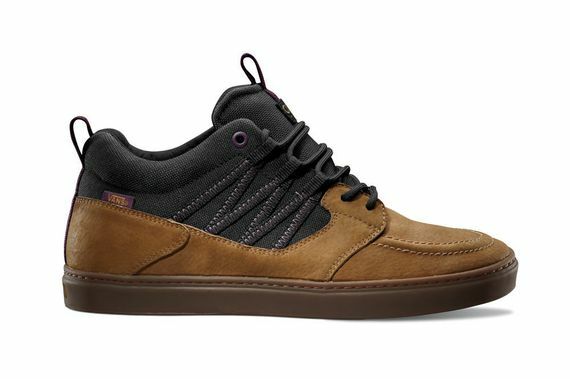 Vans clearly has no qualms with trying new things, as evident in this latest pair of Winslow’s. 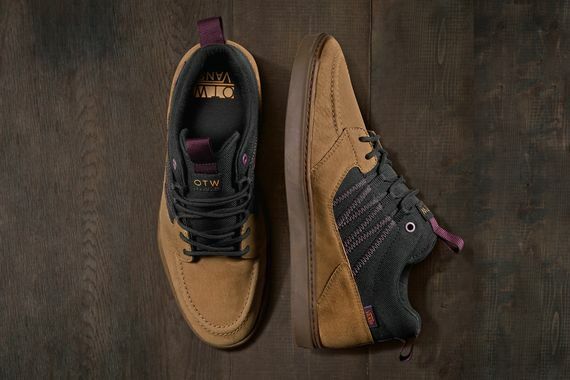 Comprised of leather and canvas, this “sneaker” features a moccasin based design that is split off into a more sport-minded canvas upper with a unique lacing system and added ankle support. 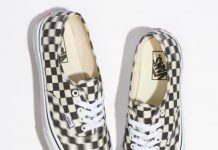 Though these Vans may not hit many skatedecks, this is certainly a good pair of kicks for the Vans fan looking for something out of the ordinary. Available in three colorways, black/grey/green, black/grey/blue and brown/black/purple, there truly is something here for anyone. 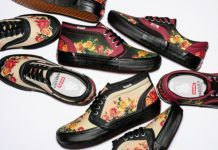 Expect to see these hit shelves sometime in July. More photos after the jump.